Enter for a chance to win one of two Region 1 Blu Ray copies (courtesy of Well Go USA ; http://www.wellgousa.com ) of THE HOUSE THAT NEVER DIES : RE AWAKENING . 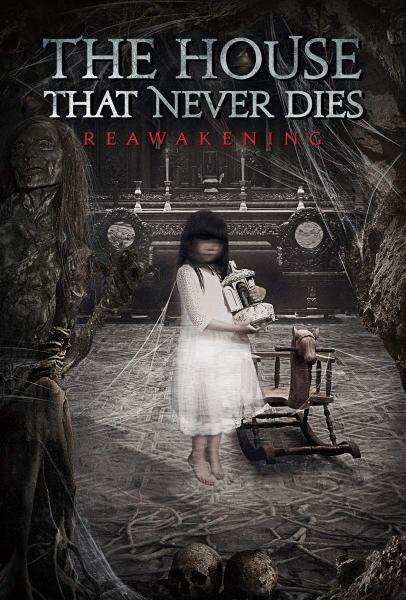 The sequel to the 2014 hit filmThe House That Never Diesand based on true events that took place at the spookiest of Beijing’s Four Oriental Haunted Houses, The House That Never Dies: Reawakening debuts on digital and DVD December 4 from Well Go USA Entertainment.Blu Ray is Region One. Send an email to : SCARLETTHEFILMMAG@yahoo.com . In the heading put The House That Never Dies: Reawakening Contest . What is your favorite Christmas ghost, horror, or thriller film for the holidays? That’s all . Contest open until DECEMBER 9,2018 . TWO WINNERS WILL BE DRAWN AT RANDOM AND NOTIFIED, WITH THEIR PRIZES MAILED OUT SHORTLY THEREAFTER. One entry per person please. Contest open to residents of the continental United States. Thanks once again to Well GO USA . http://www.wellgousa.com Check out their collection of films . To keep up to date on new reviews, articles and contests !